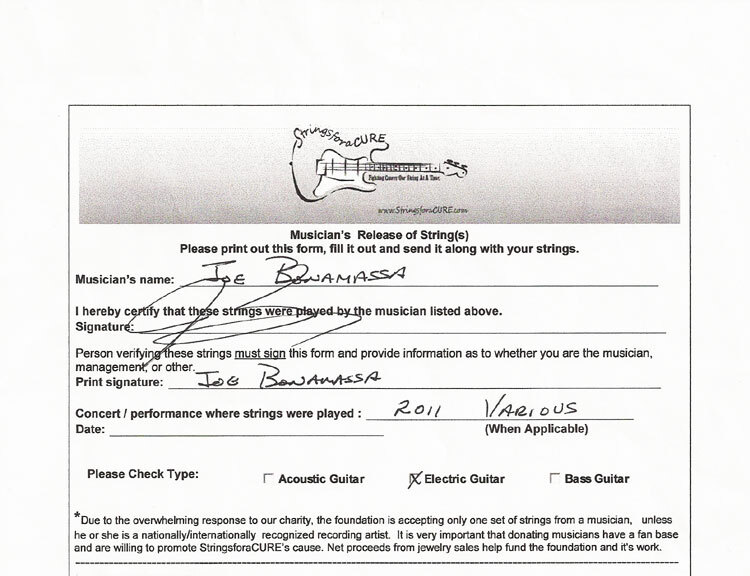 Joe Bonamassa guitar string cross made from Joe’s used/played strings from his guitar. Cross was designed by 2x breast cancer survivor Elisa Guida. Cross is app. 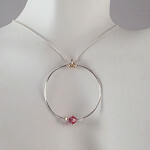 1 13/16″ L & 3/4″ W and is complimented with sterling silver wrapped wire. 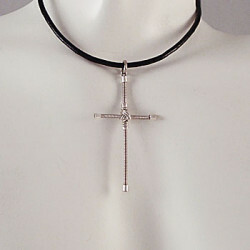 Comes with a 16, 18, 20, 22 or 24″ finished leather chord with lobster clasp. 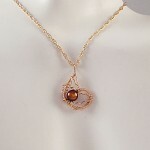 Due to the high demand of the StringsforaCURE® jewelry, it will take approximately 6 – 8 weeks to complete. These are hand-made and may vary slightly.